Adds 100 great theme fitting songs from "More Where That Came From" by OldManMose76 to Galaxy News Radio while retaining the original 20 songs. - Allows Three Dog to speak of you after level 20. - Stops news stories of quests after they are finished (Oasis, Grayditch, Canterbury Commons, Tenpenny Tower). - Adds a story about the Outcasts fighting the Brotherhood. - Increases the chance of playing player-specific news. - Fixes problem with NewsLink play mode. - Places safeguards to play songs and specific news stories when introduced. - Adds missing player gender checks for some stories (Head of State, Trouble on the Homefront, Paradigm of Humanity intro). - Expands Nuka-Cola challenge news story from 1 line of dialogue to 4 lines. - Adds extros to 12 original songs if played last. - Adds intros to 12 original songs if played first. - Increases song memory list. - All audio files have had their volumes normalized. - Stereo mp3 audio files have an ID tag with the correct song information. 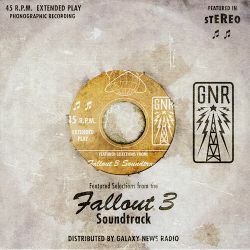 Several additional GNR bugfixes for the Broken Steel DLC are included in the Updated Unofficial Fallout 3 patch. 1. Add and activate downloaded archive. Done! 1. Extract "GNR Enhanced v1.2.7z". 3. 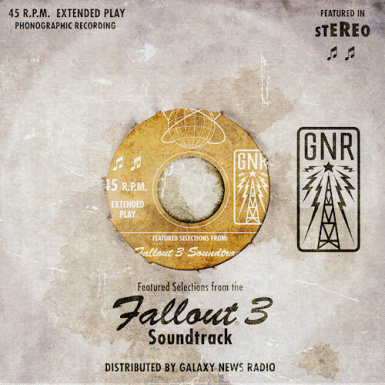 Put the "GNR Enhanced.esp" in your fallout 3 "Data" folder. 4. Enable "GNR Enhanced.esp" in your Fallout 3 Launcher. 1) running http://www.nirsoft.net/utils/installedcodec.zip and Disabling LAV Splitter & Lav Audio Decoder. This mod is incompatible with any mod that alters Galaxy News Radio. Compatible with Conelrad Civil Defense Radio mod, if its .esp plugin is loaded after (below) GNR's. 41. Bill Bailey Won't You Please Come Home? - Removed silence at the beginning and end of applicable tracks. - Normalized the volume on the WAV files, only the MP3 files were originally done. - Removed noise from one of the tracks that I mistakenly missed. - Removed ID tag from the mono mp3 tracks. - Removed incorrect loop patterns from ending of 28 tracks. - Replaced mono MP3 files that were labelled as stereo with actual stereo files. - Repacked the mod into a single RAR archive as it provides a better compression rate than the original. - Added a fomod folder for installation convenience with FOMM. - Fixed ESP from containing too much data in the description. Various Artists for the public domain and Creative Commons licensed music.